And while this is certainly a theme covered in the recent addition to the How to Train Your Dragon series, The Hidden World, the ambitions of the film don’t reach the same heights as the previous instalments despite exploring some new territories. Picking up one year after the events of the second film, The Hidden World follows the newly crowned chief and misanthrope Hiccup (Jay Baruchel) on his journey to discover a hidden dragon utopia, known as the Hidden World, following the presence of a new foe that threatens to destroy the Viking village of Berk. 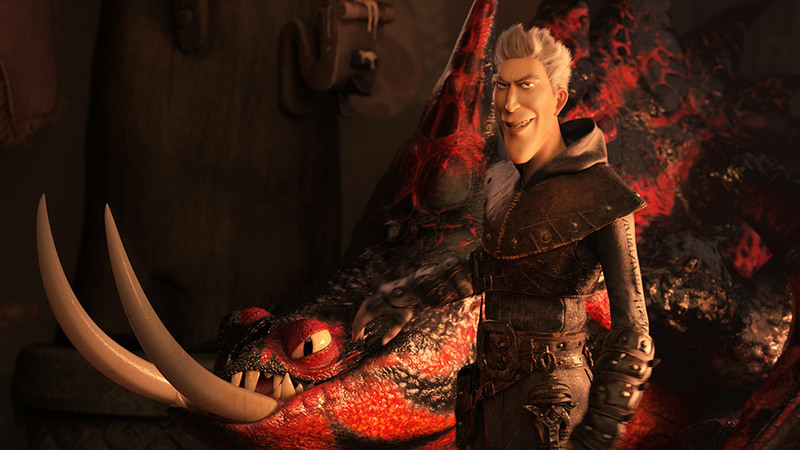 The voice acting remains consistent with the previous films as Hiccup continues his journey with his established companions, including his faithful dragon, an adorable Night Fury called Toothless, love-interest Astrid (America Ferrera), mother Valka (Cate Blanchett), and Viking friends Snotlout (Jonah Hill), the scene-stealing twins Tuffnut and Ruffnut (T.J. Miller and Kristen Wiig), Fishlegs (Christopher Mintz-Plasse), Eret (Kit Harrington) and friend of his father Gobber the Belch (Craig Ferguson). F. Murray Abraham takes the position of antagonist in this film playing Grimmel the Grisly, a murderous dragon hunter with an appetite for Night Fury’s (think Claude Frollo with a quick-fire crossbow and accompanying acid-spitting-dragons that are one-part scorpion and one-part Darth Maul). Hiccup has yet to face a villain as predatory as Grimmel, with Grimmel’s intelligent approach to hunting always two moves ahead of Berk and his inclusion being a welcomed departure from throw-away, brute-ish villains. It is through Grimmel where we are introduced to the second complication of the film, in the form of a love interest for Toothless, a white Night Fury called a Light Fury, which makes Toothless smitten to the point of jigging, trotting, flirting and all! The obligatory dragon-ballet flight scenes are where the film has full chance to show-off, with the addition of the Light Fury adding a romanticized element. 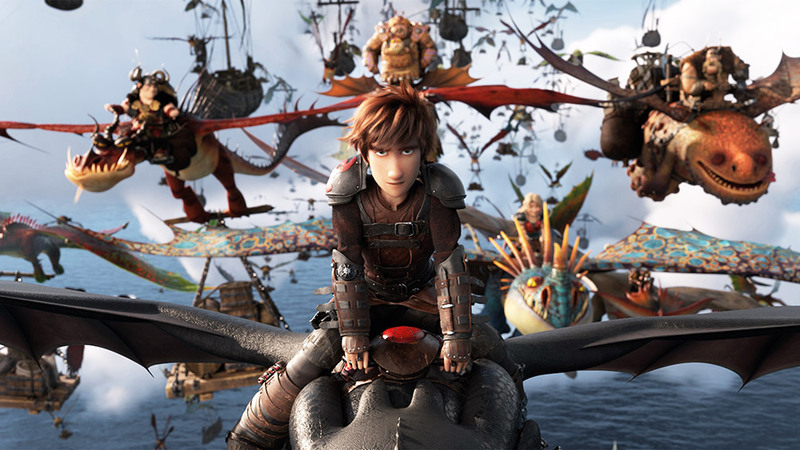 While humorous and visually dazzling throughout (the Hidden World when on screen looking like an Avatar Christmas), the film experiences some turbulence with the decision to separate the most interesting characters from each other – despite knowing a dragon hunter is on their tail – for a large portion of the film. Using flashbacks as easy exposition cheapens the story and seeing characters unnecessarily island-hop comes at the expense of the film’s pacing. Action scenes are immersive, placing the audience on the back of a dragon or in a battle, though they feel somewhat derivative, with a major battle having a strong resemblance to another DreamWorks entry, Kung Fu Panda 2 (2011). One of the charms within the How to Train Your Dragon series is the fact that the films are unafraid to disassemble and reassemble themselves, with previous instalments reflecting on the dangers inherent, hateful thinking has on people whilst also exploring masculinity within the father-son dynamic. The Hidden World remains committed to this message of change being for the better, though treads on the well-trodden foundations of the previous entries without having much more to contribute outside of commentary on domestication. These messages are, however, undermined by what could have been a satisfying, and unexpected, conclusion to the series being undone thanks to an end scene that makes it difficult to believe the studio was wholeheartedly committed to completing the trilogy. Achieving consistency in an animated film series is a troubling task with, arguably, How to Train Your Dragon and Toy Story being the only franchises that have maintained high standards. However ambivalent, the How to Train Your Dragon films have always been unafraid to think, whilst always being open to narrative course-correction. Despite some bumps along the way, How to Train Your Dragon: The Hidden World still manages to stick the landing and sets a soaring benchmark for animated trilogies. DreamWorks Animation’s first trilogy in which each movie was distributed by a different film studio: Paramount distributed How to Train Your Dragon (2010), 20th Century Fox distributed How to Train Your Dragon 2 (2014), and Universal will be distributing How to Train Your Dragon: The Hidden World (2019).